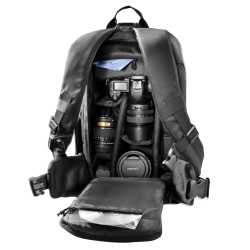 Spacious interior: Outside measurements camera backpack 25 x 46 x 20 cm (LxHxD), compartment for camera inside measurements 35 x 18 x 15 cm. 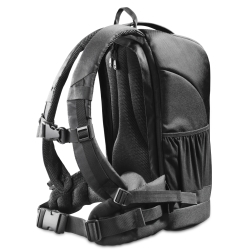 Made of tear-proof, durable nylon material. Thick padding yet lightweight. 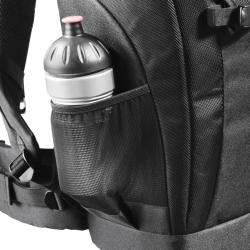 Theft-proof: The main compartment opens to the back and is therefore particularly safe. 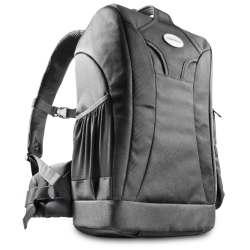 Also, the back is comfortably padded. The large opening makes the equipment clear and easy to remove. Convenient interior partitioning and additional pocket: The interior, which is lined all around with Velcro, can be freely arranged according to your needs. 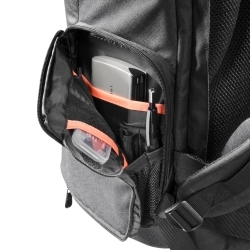 The removable additional pocket also sits securely thanks to Velcro. 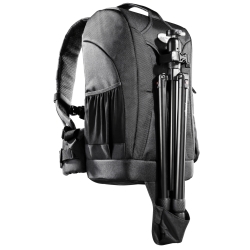 Tripod holder: The backpack has a dedicated tripod holder made of particularly robust material on the front. 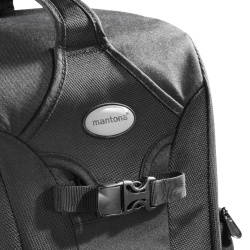 Its central position keeps the luggage narrow and balanced in weight. 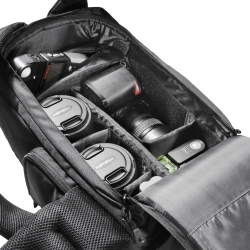 Highly compatible: Ideal for Sony, Canon, Nikon, Olympus, Fuji, Pentax and other DSLRs as well as system cameras with photo equipment. Waterproof thanks to rain cover. 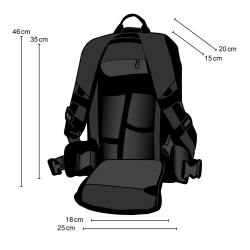 The extra soft and breathable air mesh padding on the carrying straps and the back rest ensures an optimal wearing comfort on long tours. 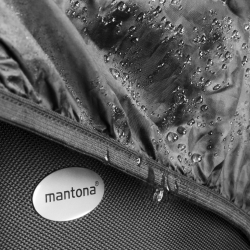 Even on rainy days, your equipment is perfectly protected due to the built-in rain cover. 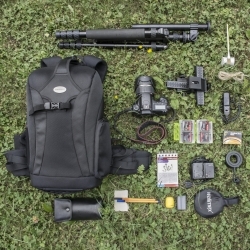 The Mantona Trekking: excellent quality for your photo trips.